The interpretation examples that we are suggesting are very far from being exhaustive: they only show and outline a general frame describing the problematics of this planetary function. They should therefore not be taken literally. Each being brings indeed its own responses, more or less original, to the issues raised by a planetary function. Through using the R.E.T. and the Theory of ages and combining logic, observation and imagination, you will be able to develop a thousand other possible meanings, a thousand other variations on the same theme. 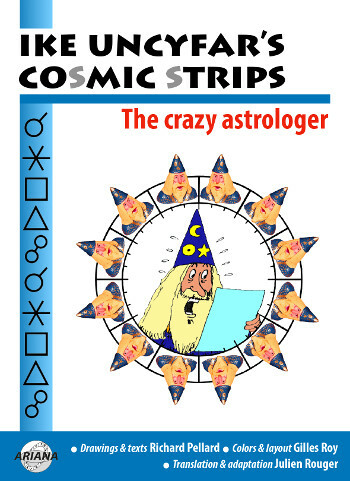 To find out about your dominant planets you can check the free mini-interpretation of your birth chart with our software Astrosoft. Adaptable, receptive, easy-going, welcoming, you know how to create around you a climate of peaceful everyday life, of warm privacy, of simple harmony, of friendly conviviality, and you thrive on enabling, amicable and informal atmospheres. Obliging, helpful, understanding, tolerant, showing solidarity, you flexibly adapt to the others. When faced with practical situations and concrete issues, you endeavour to find the lines of weakness and to secure some strong support, rather than wearing yourself out struggling. You fit at best what circumstances are bringing to you, building on them by smoothly accomodating them from day to day. Subtle, dreamer, changing, rippling, imaginative, your inner life is rich. The need for fullness, for wholeness, for serenity, for living in accordance with your inmost personal rhythms are for you imperative requirements: you live your dreams and dream your life, deeply and peacefully in tune with yourself and your surrounding environment, into which you swim like a fish in water. You only take the decisions that don’t cost you anything, that are intimately integral with you, that are imposed to you by circumstances and that preserve as much as possible the crossfading and the quietness of a daily life that you wish devoid of any authoritarian tenseness. You assimilate knowledge effortlessly, without any focus. Your quest for well-being involves a refusal of any binding discipline, and you know how to get rid of your own requirements in order to maintain harmony within your group. Your rich affectivity is characterized by a need for connection, for unity, for cosiness shared with those that you love simply because you feel good with them, because you feel them and you understand them deeply by putting yourself easily in their shoes. While being convivial, solitude does not scare you: in these moments where you stand aside from the outside world and the others, however without being aloof, you recharge your batteries through daydreaming, through peaceful and smooth contemplation. Free from any prejudices, from any certainties, you know how to take a new and fresh look onto beings and things. Original article published in French in issue #4 of Astrologie naturelle (December 1998). 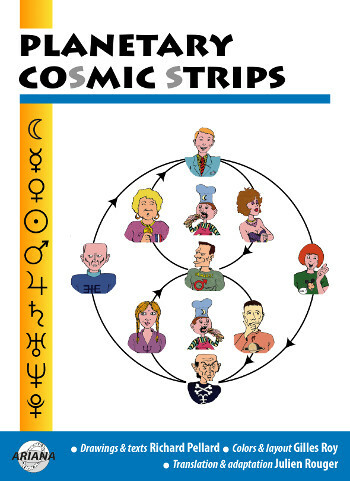 The portraits in comics of the 10 Planets. 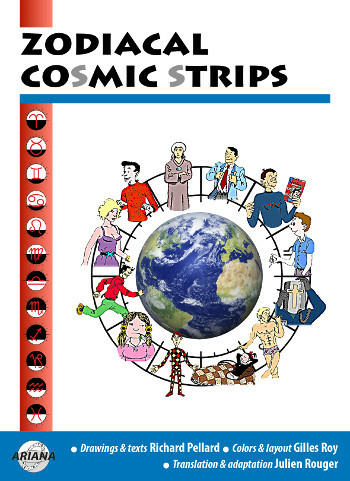 Discover the funny and educational caricatures, the qualities and defects of the Lunar, the Mercurian, the Venusian, the Solar, the Marsian, the Jupiterian, the Saturnian, the Uranian, the Neptunian, the Plutonian in 20 original pages.